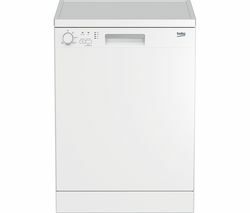 Our range of Beko dishwashers come in both full and compact sizes, with regular and integrated models as well. Using less water than you’d expect for a single cycle, and with a minimum A+ energy rating on all models, the Beko range is as economical as it is handy. Each Beko dishwasher has a decibel rating listed in the specifications, perfect for if you wish to take advantage of the cheaper nighttime energy tariffs and wash your dishes whilst you sleep. You’ll also benefit from a minimum one year manufacturers guarantee and a good amount of loading space even in the compact models. 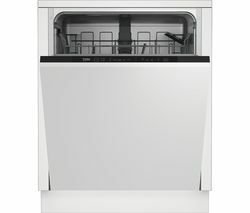 With full size models starting at under £200, Beko dishwashers also offer some of the best value on the market. Check out our range of Hotpoint Dishwashers, which also have a great selection of machines to choose from. Whether you’re washing after a large family meal or dinner party, or living in a small flat, you’ll find something to match. If you’re looking for a higher end machine then Miele, known for their excellent build quality and reliability, offer a range of dishwashers with incredibly low water usage and a minimum two year guarantee. With most Miele dishwashers operating on as little as 6.5 litres per cycle, you’ll save money on water bills every time.